The undersigned organizations are very concerned about the health status of prominent Human Rights Activist Abdulhadi AlKhawaja, who is in need of a necessary medical care. The information confirmed that AlKhawaja is exposed to blindness as well as other health risks due to his new hunger strike. On the 12th of April 2017, Abdulhadi AlKhawaja started an open-ended hunger strike with the exception of water-only intakes. The strike is to protest degrading treatment and deteriorating conditions inside the prison, as well as arbitrary detention as his family reported. His health has already deteriorated from his numerous hunger strikes, including his previous hunger strike that lasted for 110 days. According to his family, AlKhawaja has entered an open-ended hunger strike yesterday to protest against the humiliating treatment of detainees in Bahrain by the Central Prison Administration. This came after a series of harassment against activist imprisoned with his in the same case, known by the “opposition symbols”. AlKhawaja, also former head of the Bahrain Center for Human Rights, is among a group of prisoners known as Bahrain13 who were sentenced to prison in 2011 for their pro-democracy and human rights activities. AlKhawaja is serving a life sentence. Abdulhadi AlKhawaja needs urgent medical care in order to prevent a permanent loss of vision. “My father had serious problems in his right eye for the past three weeks. He completely loses his vision after sunset where he cannot also clearly see during the day. He suffers from Migraine on the right side of his head and behind his right eye” said his daughter, Maryam AlKhawaja, the Special Adviser to the Gulf Center for Human Rights. However, prison officials are now imposing restrictions on family and medical visits, and that is the reason why AlKhawaja refuses to go to the doctor, shackled in both hands and feet. He has written to the authorities asking if they have set a new medical appointment for him and if he is allowed to go without being shackled and inspected. He suffers from pain in his face due to the severe torture he was subjected to earlier, which required the inclusion of metal plates and nails in his face, which were supposed to be removed in 2015, but the authorities did not make any effort to arrange for this surgery to happen. The undersigned organizations are following with great concern the situation of AlKhawaja, since this strike may put his life at risk, especially that his health conditions do not enable him to withstand a hunger strike after a series of severe strikes during the past years of his imprisonment protesting his ongoing imprisonment and the deterioration of conditions human rights in Bahrain. We had received confirmed information that the 12 prominent activists jailed at Jau Central Prison who are languishing in building No. 7 are subjected to restrictions on their rights for months. The administration of Jau Central Prison closed most of the news channels on the television in their prison ward in a deliberate attempt to harass and isolate them from the outside world and prevent them from receiving news from the most popular news channels among prisoners. Information indicated that BBC Arabic, a channel watched by the imprisoned Political Leaders is banned for few months now. News channels such as Al Jazeera English was banned too, where channels like MBC films and Bahrain Official TV channel were kept. The 12 prisoners confirmed in previous family visits that Al Wasat Newspaper was banned from entering the prison where it is the only independent newspaper in Bahrain widely popular and accepted by the people. The administration also prevented religious book entry in an attempt to prevent the practice of worship and religious rites. Some complained of the restriction of hands and feet shackles when transferred to and from the prison clinic or to and from the hospital or family visits. Some of them is about seventy years old and that cause them pain in their hands joints and back and feet. All are new practices may be recent by imposing new laws and regulations. In addition, Jau Central Prison administration is controlling and monitoring telephone conversations between the 12 prisoners and their families and keeps cutting off phone calls if the prisoners ask about news of the country. The prisoners are forced to communicate and ask about family conditions and do not ask for any information related to human rights or the political situation in the country. Minimizing family visits to half an hour every three weeks from an hour amid a complicated process of entry and inspection, also reduces the visitation time no more than 15 minutes. A clear attempt to clampdown on prisoners of conscience and their families. Human rights organizations issued a joint statement earlier in 2015 calling for the immediate release of Dr. Abduljalil Al Singace, where he continued a hunger strike for 200 days protesting his arrest and trial, and what prison inmates at Jau prison endured in March 2015. Reports and investigations pointed torture of prisoners for political reasons. Human rights organizations in an urgent statement dated September 8, 2015 expressed deep concern over the deterioration of the health of imprisoned human rights activist Mohamed Hassan Jawad, popularly known as “Parweez”, 68 years old and sentenced to 15 years of imprisonment. Information indicates that his family received a call from the administration of the Central Prison to cancel the family visit scheduled on Saturday, 5 September 2015 because of his transfer to the hospital without explaining any reasons. It was reported to the organizations that Parweez health had suddenly deteriorated, prompting him to be rushed to the hospital by the prison administration. His family said that it is not the first time that his health deteriorates suddenly in prison and is transferred to the hospital in this urgent form, as in 2013 where he was also transferred to the hospital in a sudden strike after eating Iftar in the month of Ramadan. Parweez’s family confirmed that he is not offered a specialist doctor to examine his condition according to the criteria of his physical condition, as he indicated several times that he felt great pain in the bones of his back and his pelvis, hands and feet. The family added that sign of his illness is obvious and clear in every visit is clear, where yet the prison neglects this causing his physical health to deteriorate even more. It is reported that Parweez is the eldest political prisoner in the Bahraini prisons. He is in dire need of health care. His health has deteriorated considerably after his arbitrary detention. He was tortured during and after his arrest in 2011, especially during interrogation and interrogation. Symptoms that pose a real danger to his physical integrity is clearly seen. 13 opposition activists were arrested from 17 March to 9 April 2011. Most were arrested in the middle of the night by groups of security forces who raided the houses of those persons and took them to unknown destinations where they were held incommunicado for many weeks. Many of whom claimed that they had been tortured during the first days of their detention when they were being interrogated by officers of the National Security Service. None of them had been allowed access to their lawyers during the period of investigation by the National Security Service following their immediate arrest until two months later. Some met with their lawyers during their interrogation before the Military Prosecution prior to the trial, while others were only allowed to meet with their lawyers during the first trial sessions in May 2011, in which they also met with their families for the first time since their arrest. That indicated for international human rights bodies that they were tried based on unfair standards. On 22nd of June 2011, the National Safety Court, a military court, announced its verdicts in the case and sentenced these activists to between two year of imprisonment and life imprisonment for convictions on several counts, including “forming terrorist groups aimed at overthrowing the monarchy” and “changing the Constitution”. Seven of the 13 activists were sentenced to life imprisonment: Hassan Mushaima, Abdulwahab Hussein, Abdulhadi Al Khawaja, Dr. Abduljalil Al Singace, Mohammad Habib Al Miqdad, Abduljalil Al Miqdad and Saeed Mirza Al Nouri. Four others were sentenced to 15 years of imprisonment, and they are: Ali Redha Ismail; Mohammed Hassan Jawad, “Parweez”, Abdullah Al Mahroos and Abdulhadi Abdullah Hassan Al Mokhoder. Two were sentenced to five years of imprisonment, namely: Ibrahim Sharif; and Salah Abdullah Hubail Al Khawaja, a brother of Abdulhadi Al Khawaja. On the 28th of September 2011, and during a session not lasting for more than few minutes, the National Safety Court of appeal, a court of military appeals, upheld all sentences against the 13 activists. On 30th of April 2012, the Court of Cassation in Manama, ordered the activists to appear before a civil court to consider appeals brought by them. Appeal began before a civilian court on the 22nd of May 2012 and the High Criminal Court of Appeal also upheld on the 4th of September 2012, the sentences against these activists. Activist Salah Al Khawaja and oppositionist Ibrahim Sharif were released after completing their five-year sentence that lasted for five years. Ibrahim Sharif was arrested again after he delivered a speech on one occasion criticizing the Bahraini government’s practices in extrajudicial killings. He was also tried on charges of inciting hatred against the regime and was sentenced to one year in jail, served too already. Sharif is now also subject to interrogation for comments on social media through which he expresses his views on human rights. The arrest of the Secretary-General of the Al Wefaq Islamic National Society Sheikh Ali Salman on the morning of December 28, 2014, after he appeared before the Public Prosecution came also to add him a another prisoner of conscience in building number 7 in Jau Central Prison with the rest of the opposition leaders. International human rights organizations in several statements, reports and appeals considered the sentence against the Secretary-General of Al Wefaq Islamic National Society Sheikh Ali Salman as a blow to all international appeals and human rights organizations and international community, which called for the suspension of the trial and his immediate release. The American Mission at the Human Rights Council of the United Nation’s called for Sheikh Ali Salman’s release and expressed his country’s concerns over restrictions on freedom of expression. 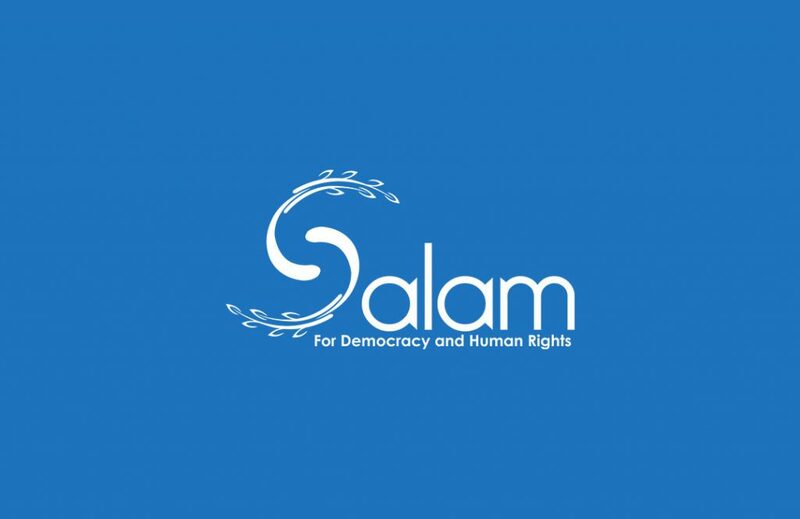 The undersigned organizations call upon the Bahraini authorities to abolish trials in Bahrain against activists, human rights defenders and citizens. We call for the immediate and unconditional release of all prisoners of conscience. We affirm that activists and opposition leaders are prisoners of conscience and their detention is unjustified. The undersigned organizations also call upon the Bahraini authorities to prosecute and hold accountable those responsible for torturing the activists whose names appear in their torture statements before the judge of the court as being involved in physical and psychological torture. • The immediate and unconditional release of Abdulhadi Al Khawaja and Nabeel Rajab from prison. • Clear prisons from activists and opposition leaders. • Allow Abdulhadi Al Khawaja, Nabeel Rajab and all activists and prisoners unhindered access to medical care without any restraints, including when transferred and transported to the hospital. • Ensure, in all circumstances, that journalists, media workers and all human rights defenders in Bahrain are able to carry out their legitimate activities without fear of retaliation and without any restrictions, including judicial harassment. The Bahraini German Organisation for Human Rights.